Forty is fabulous for Tessa Craig. Heck, she has it all-a glamorous job as a political speechwriter, a Manhattan duplex, and a handsome boyfriend, Congressman David Weyburn, whose integrity, charisma, and good looks have made him his party's rising star. But her fabulosity fizzle... read full description below. Forty is fabulous for Tessa Craig. Heck, she has it all-a glamorous job as a political speechwriter, a Manhattan duplex, and a handsome boyfriend, Congressman David Weyburn, whose integrity, charisma, and good looks have made him his party's rising star. But her fabulosity fizzles when scandal strikes, and Tessa watches helplessly as her seemingly happy love life and successful career collapse like a house of cards.Tessa realizes it's time to embark on a new journey, one she should have made a long time ago. It's a trip that takes her to the Emerald Isle and back, leading her heart in unimagined directions. She makes new friends, unexpectedly adopts a new family (or do they adopt her? ), and discovers unanticipated love with silver-tongued, green-eyed, aspiring pub owner, Jamie Doyle. 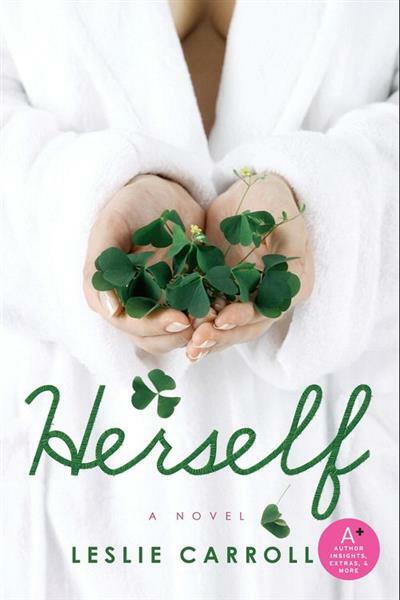 And, most importantly, Tessa makes that uphill climb over the rainbow to find the ultimate pot of gold: Herself. Leslie Carroll is the author of twenty books in three genres, including a series of five nonfiction titles on the loves and lives of European royalty: Royal Affairs, Notorious Royal Marriages, Royal Pains, Royal Romances, and Inglorious Royal Marriages. She also wrote an illustrated hardcover coffee table book on a thousand years of British royalty commissioned by Sterling, the publishing arm of Barnes & Noble. She and her husband divide their time between the high-rises of Manhattan and the high elevation of Denver.